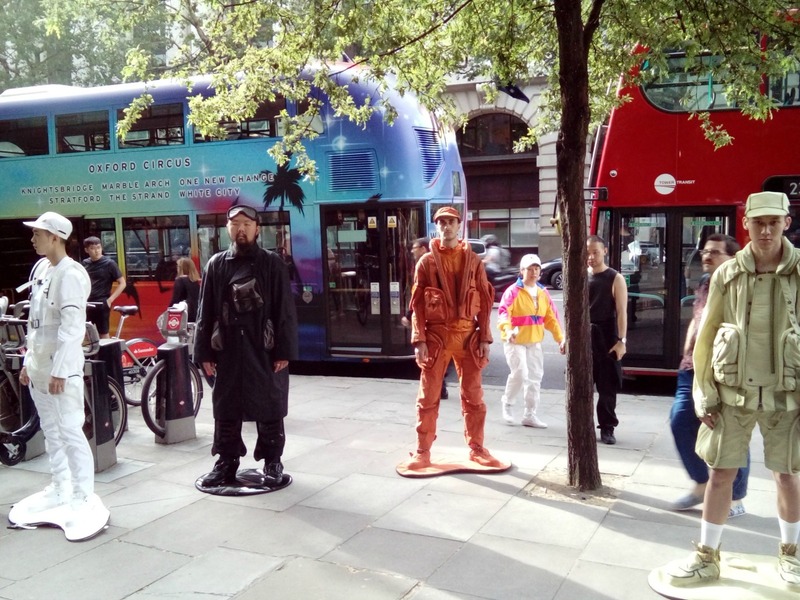 The Expedition was from the Highlands of Scotland to The Strand in London for the Royal College of Art Graduation Show billed as “The Walk without a Cat“. It was the culmination of two years hard graft for our super talented daughter-in-law, Tabitha. 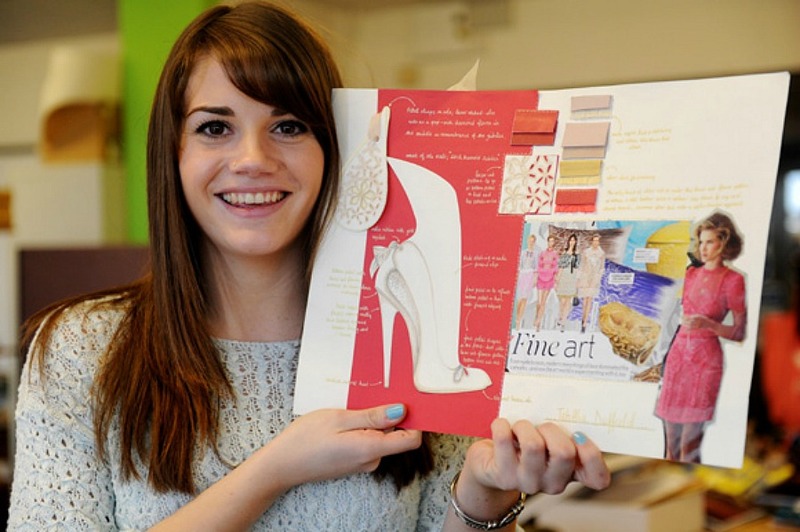 As long as she can remember, shoe design has always been the goal of this young lady from Maidstone. It was whilst studying for her GCSEs that our son, Sam, brought her “home for tea” and we have been part of her story ever since. 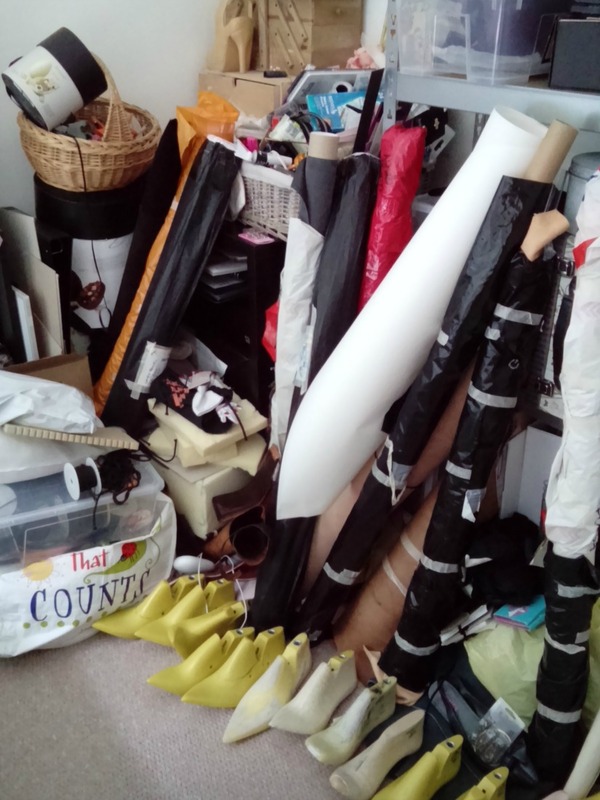 Following art based A Levels and a variety of exciting design workshops she took up her place on a footwear degree at Leicester De Montfort University. Impressively, the students do not just design, she learnt how to use lasts, stitch leather, make heels, soles, basically everything to take her shoe design from paper to the finished, wearable final product. Towards the end of her course she took part in a competition to design a shoe for Kate Middleton, now the Duchess of Cambridge. She was runner-up and although I am completely biased, the shoes were more wearable than the winning ones. The shoes of the 6 finalists went on display in Harrods shop window, then went on tour around the world and were never seen again. Although I understand the winning shoe ended up in a museum in Northampton. Tabitha’s first full-time posts in the footwear industry were with River Island and New Look. 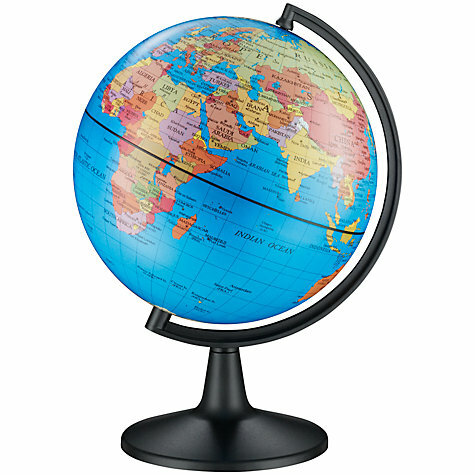 Trips to China, India, Hong Kong and beyond to talk to suppliers and source accessories followed. Long hours, eating strange food and little sleep seem to be the theme but the experience gained was invaluable. 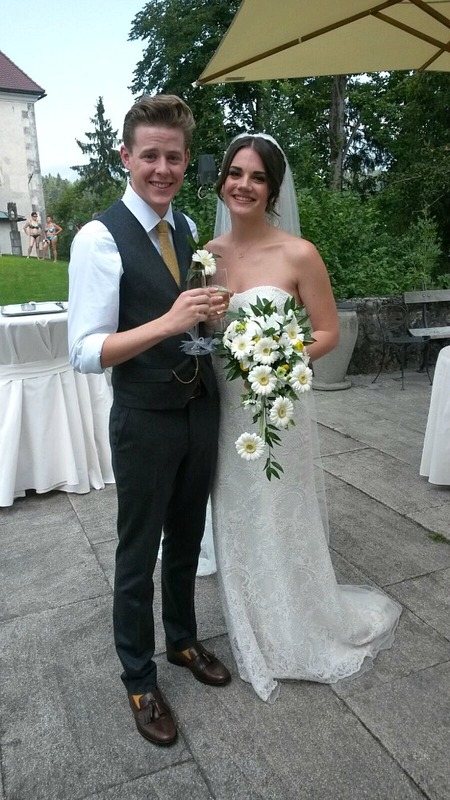 In the summer of 2015, shortly after we began JWalking, Tabitha and Sam were married in the fairytale location of Lake Bled, Slovenia. Perfect! (Of course she designed and hand made her own wedding shoes.) Sam and Tabitha’s Wedding at Lake Bled. 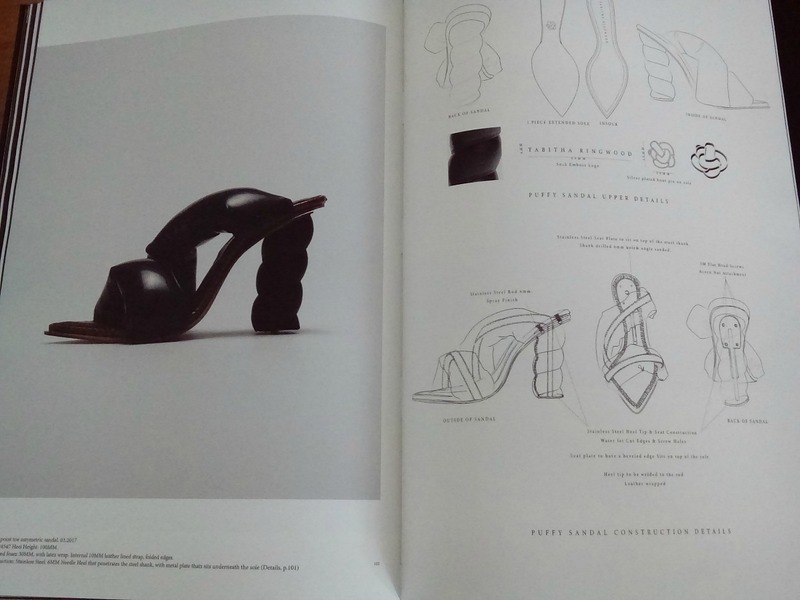 Having met some fierce competition for one of only three places on the MA Footwear course at the Royal College of Art, her two years of study started in September 2016. 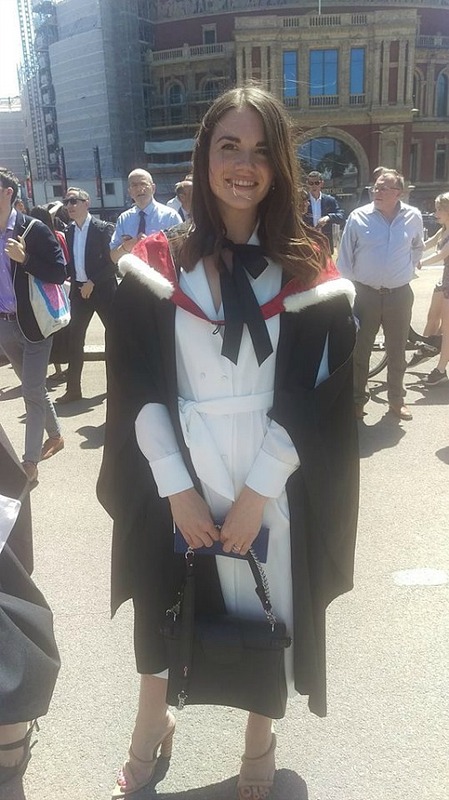 Hours and hours sourcing unusual materials, burning the midnight (and early hours) oil, attending workshops and lectures on other disciplines such as millinery, accessories and 18 months later her dream of achieving a Masters has been achieved. 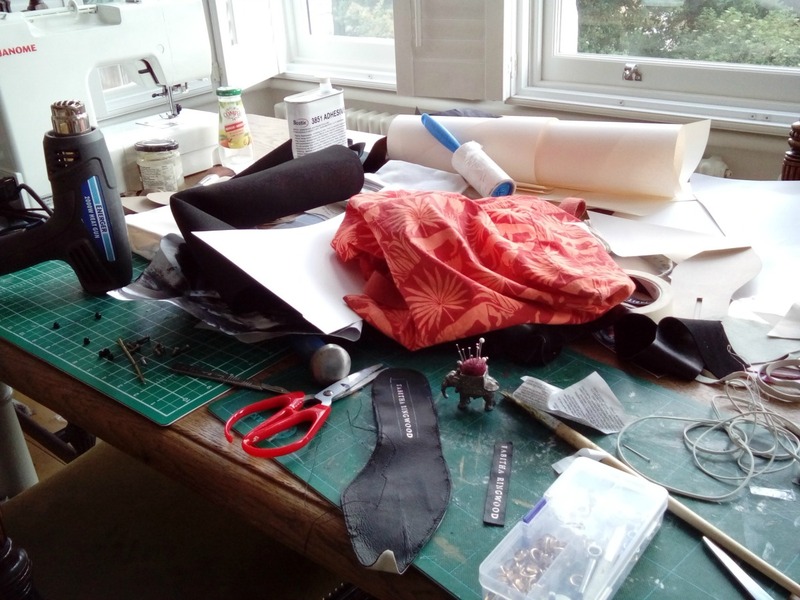 Sam and Tabitha’s flat has become an extension of the University workshops – not that I mind – I love watching her work and looking through her materials. It’s like Aladdin’s Cave for me, crystals, threads, swatches of all sorts of fabrics and materials. So this is how I ended up on the 9.25am Virgin East Coast train from the Highlands to Kings Cross for the evening Graduation Show. 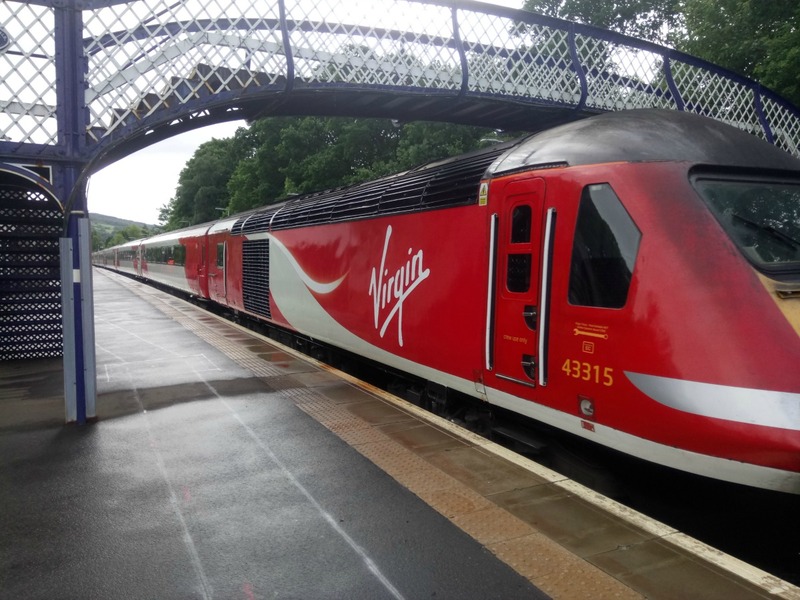 The previous day the line around Perth had been closed due to Storm Hector bringing down trees across the tracks. Thankfully this had all been resolved overnight and I arrived at the venue around 4.45pm. Jonno had decided that fashion was not his bag (forgive the pun) so stayed manning the dusters, hoover and strimmer back in Scotland. My hero! Apart from seeing Tabitha at the show, I also got to see Sam, Tabitha’s parents (Patsy and Nigel), our eldest son Shaun and his wife Katie. Katie was helping model the shoes but not in the way you think. The Press Release from the RCA which I managed to read through said that the Show was going to be a distinct departure from the traditional catwalk. It had a futuristic feel and the students had experimented with virtual reality, science, electronics and sustainable materials. Garments for space tourists, accessories grown from human sweat and seamless clothing were just some of the highlights. Tabitha‘s installation was one of only two from Footwear. 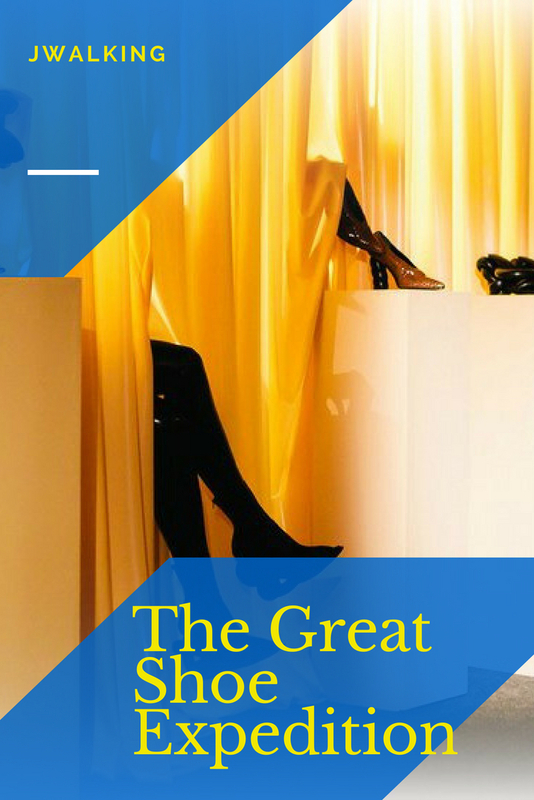 She and Sam had gone to huge trouble to hang what was a very heavy latex curtain as the back drop for her shoe collection. She had three plinths all with shoes on and one bar stool. Two of her three assistants lifted the shoes from behind the latex curtain to show them to the passing guests. It seriously looked like they were floating around. The final assistant sat behind the curtain on the bar stool and let her legs protrude through. She was wearing black latex tights (there is another whole story to be told about Sam buying those) and modelling black ankle boots. The whole collection was called Bonded. 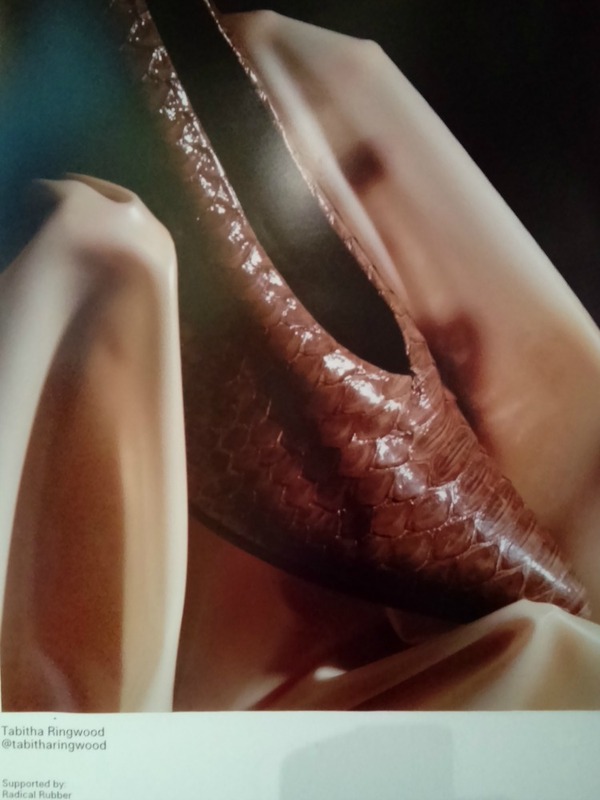 Although latex has a certain reputation it is a very tangible and tactile material and should perhaps be used more in mainstream fashion. The evening was a mix of touring the various students’ installations interspursed with presentations and other features in a central arena. It was a visual feast but I felt I needed to know more. It is similar to when you are in an art gallery and you need that little extra bit of background information to say whose work it is and where the inspiration or motivation came from. After a tiring evening the poor students had to dismantle everything and pack it into vans for transit back to the University. For some this meant folding their garments up and putting them in bags, for Tabitha it meant removing screws, filing holes and repainting in a few places. Seemed a bit unfair on the students as some relatives had flown in from other countries to be there and couldn’t spend the evening together. As for me, I was just so pleased to be able to see Tabitha showcase her work and was bursting with pride. Pride also in Sam whose support has been relentless despite his own heavy work schedule. Now it is time for them to enjoy the Graduation Day, a day when there will be no vans to pack and they can head off to celebrate together with a few glasses of bubbles. Hi there. Jane and I have just finished work and begin our adventure in under 3 weeks. However, one of my last bits of work was a whistle stop visit to the UK. I had a meeting with the Vice Chancellor of the University of Northampton, one of the small number of Unis that teach shoe design. That evening was an awards show at The Guild of Cordwainers (shoemakers) in London so I was invited along. It was really interesting and I’m sure Tabitha knows the guild well as they do a lot to support shoe design education. Thanks for you comment. First heard of the Guild of Cordwainers via Tabitha and she does know the Guild well. Enjoy your adventure and, like us, there will no doubt be no looking back! How fabulous, she is so amazing. On a slightly different note, do you know the pair in bikini’s, photobombing the happy couple in Lake Bled? Did they turn up to the wedding dressed like that? Yes it’s my Mum!!! No seriously I forgot those two were in the picture. Because the church was on an island in the middle of a lake some hardy types swim out to the island and despite the signs saying to dress respectfully near the church some just swan around in their togs. Do you recognise them? Congratulations Tabitha. What a talent to have. 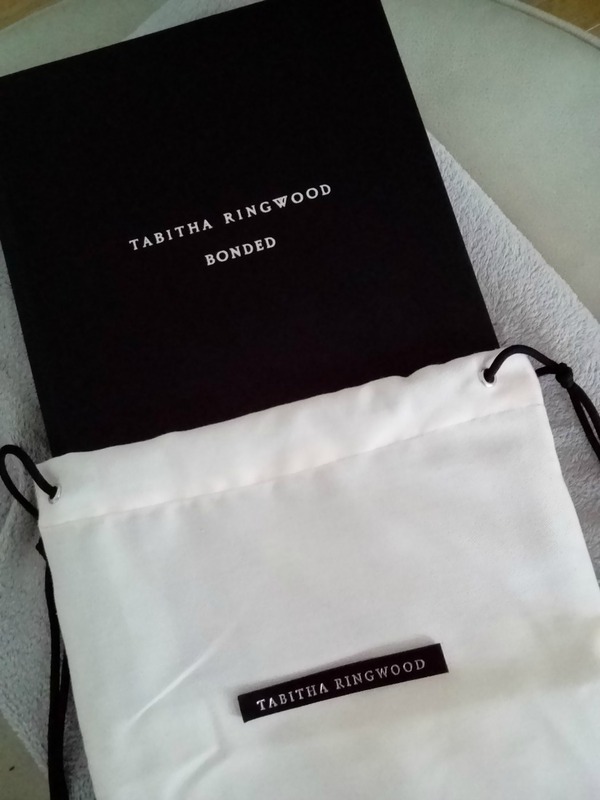 I’m up for being one of the first customers for a pair of Tabitha Ringwood loafers. Can you put a word in? Oh Joanna bravo to your daughter-in-law. so much hard work, dedication and her ongoing passion to make a dream come true. Extra applause to your son for her supporting and cheering her on. I’ll be interested to know where her future takes her. What a fascinating career. It is a fairy tale story to me. How many young girls have a childhood dream to do something like this and actually achieve it? So proud of our son too, of course. May do an update in six months or a year to let you know what the future held. She has certainly worked hard and deserves to do well. You must all be very proud! We are sure there are even more exciting things ahead for her. What a beautiful story and a talented young lady !!! Wishing her all the luck with her dream to keep ladies all over the world well heeled !!!! Talent, youth and a passion for both designing shoes for fashion and podiatry problems. The world is her oyster and we will keep you posted on her progress. Wow, what a fantastic story – your daughter-in-law is very talented… what amazing footwear!